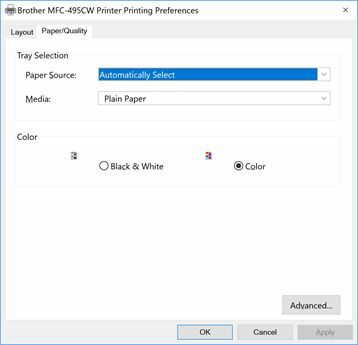 This article provides step by step instructions on how to set a printer to print Black and White in Windows 10. 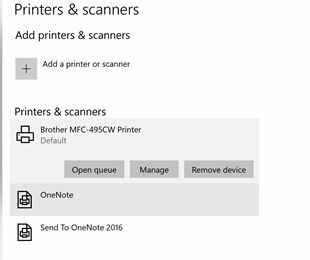 Go to Printers & Scanners using WIN+S on your machine. Or, go to Control Panel and find Printers. 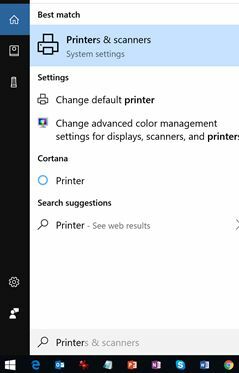 Find your printer and click on the "Manage" button. 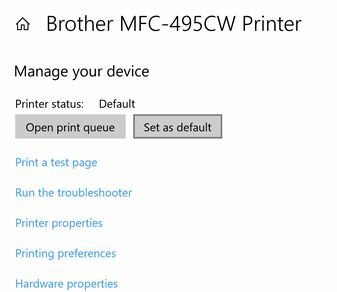 On the “Manage your device” window, you’ll see links to Printer properties and Printing Preferences. Click or touch "Printing preferences" on the above screen. Go to Paper/Quality and select "Black & White" in the Color options. By default it's Color. Click the OK button to save changes. Now, your printer is all set to print in Black & White. 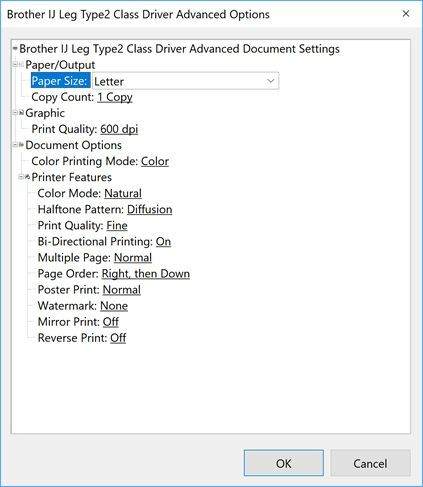 If you want to get into Advanced preferences, click on the "Advanced" button on the previous screen and you will see the following screen where you can set Paper Size, Copy, Graphic, Document Options, Printer Features preferences.